NORFOLK, Va. (WAVY) -- Police say no one was hurt after a man, armed with a knife, robbed a Tinee Giant convenient store. 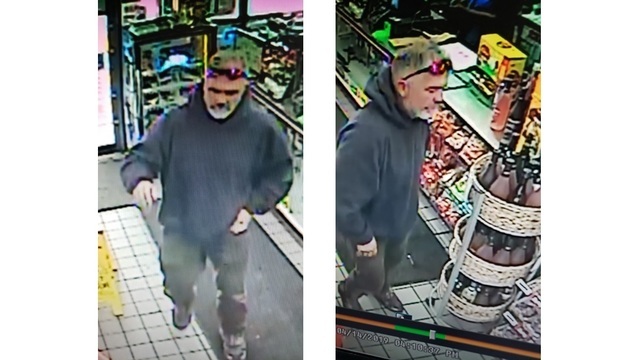 According to officials, the suspected robber entered a Tinee Giant, located at 3801 Hampton Boulevard, on Sunday at 4:15 p.m. and demanded money. The clerk handed over an unknown amount of money and the suspect fled on foot. Police say no one was injured, but now they need your help identifying the man. If you know anything that could help police identify the suspect, call the Crime Line at 1-888-LOCK-U-UP. Stay with WAVY.com for updates.